Web Design is an art form in many ways, and an exact science in many others. The difference between one website that brings in thousands of high paying customers and another website that brings in none can be as simple as a misplaced arrow. 1. Not Knowing What You Want Your Customers To Do. What is it you want your website visitors to do when they visit your website? Are you trying to build a large email list? Are you trying to get people to share your website with friends and make money off advertising? Are you trying to get visitors to buy your product? The different answers to these questions require entirely different approaches to design. If you want customers to buy your product, then having a Google adsense advertisement displayed prominently on your website (or at all) can impede you from your goals. The same applies to building an email list. Where is it placed on the website? Most businesses would love the vast reach of Amazon.com. But the reality is that most websites have a very specific niche group that is their bread and butter customer base. Not too many teenagers will use a will-making service. This is actually a good thing. When you figure out what age group your customers are at, you can target advertising to be much more effective and budget friendly. But of course that isn’t design. If it’s a professional website aimed at 50 year olds, then you probably don’t want the design to look like Club Penguin. Now you can probably see the bias in this answer. But one of the biggest mistakes people tend to do is assume that they can make a website work for them. And there are lots of free tools out there to help you make websites, they are huge drawbacks to not using professionals who understand this field. For one, web design professionals understand website visitor flow, and will design your website so that the most people will flow in the direction you want them to. 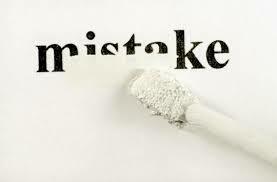 They’ve also seen thousands of mistakes that have helped them to understand rookie mistakes and how to avoid them. Also, if something goes wrong on your website (say, a plugin conflict issue), you won’t have anyone to consult. You’ll have to search through forums for hours–maybe even days–whereas a web designer is usually able to diagnose an issue right away. That’s hours of lost productivity on your end. Hours where you could have been working on your business!